If you are planning to go Argentina, then following are the top 5 best places of Argentina which you should never miss to visit and they are. Perito Moreno Glacier – It is the best place to spend your time where you can spend an entire day at the walkways if you can and complement it with the big ice trek and burg or with a long navigation if you are fit enough. This will not disappoint you and best time to visit this place is from Nov to April and you can spend 2 days in the calafate and if you like to visit the chalten place then you have to spend additional two or three days. Salta – In salta you can find the old Argentina in which the northwest part of the country is the place where the first Spanish settlers and the aboriginal inhabitants were first mixed and from that time it is considered as a historical place. The El tren de las nub is the place which you must visit and Quebrada de Humahuaca and cachi, cafayate are worth to visit. Best time to visit this place is from April to October. Peninsula Valdes – The peninsula Valdes is the show of the animal life here you can see the animals like orcas, multitude of sea birds, sea lions, penguins, whales and sea elephant. 2 days are there minimum days to spend here and best time to go this place is from September to February. Iguazu Falls – The nature at this place is very best. The falls make an impressive sight and the surroundings permit the intense contact with the nature to the adventurer within. Best time to visit this place is from April to Nov, in summer it will be little hot so this place will be the best one to go. 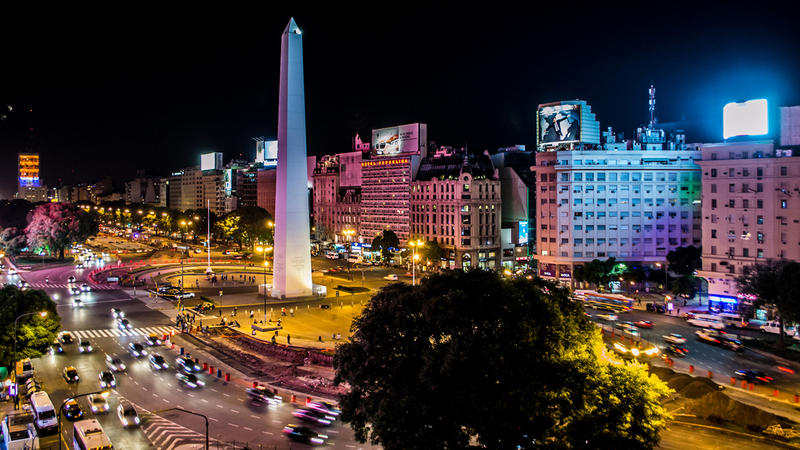 Buenos Aries – There are lot more to do in Buenos Aries than the dancing tango that includes the theatres, museums, polo matches, fairs, shopping or simply walking through the city are interesting ideas to try out. Buenos Aries is always found to be the dynamic and mysterious destination and in which like the big city you can feel and get the variety of experiences. In general those who visit the Buenos Aries are very glad in wondering the unique beauty of this city. However before you travel or plan to visit a place you need to gather complete information about the place and here are few things which you need to know before visiting the Buenos Aries in Argentina. They are. What is the political situation of the place? How is economy doing there? How much money should I take with me? When you gather answers for the above questions then your tour trip will be memorable one and you can also enjoy visiting the place very happily by getting rid out of the problems. Generally web hosting is the important part of building efficient website and most of the companies are offering web hosting service. A web hosting service is the type of internet hosting service and it allows the organizations and individuals to create their website accessible through World Wide Web. There are different types of the web hosting services are there such as smaller hosting service, larger hosting service, image hosting service, file hosting service, blog hosting service and video hosting service. If you choose this service then your website files are stored in the remote computer server. small scale business goes for managed or shared service because it is costs less. Most of the web host provide all in one fee for bandwidth, operating system, set-up, support and hardware. 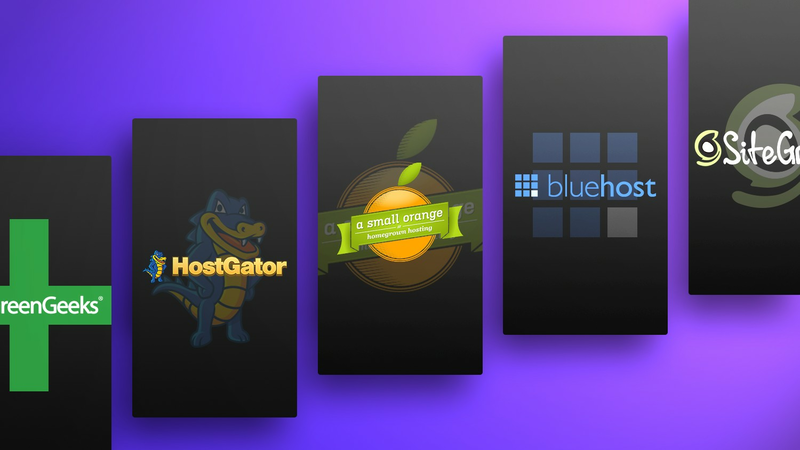 You are always advisable to choose best web hosting like Ipage, siteground, Ovh and hostgator which is really useful to increase your sales. If you choose the best hosting company then web hosting package might include email account that link to your website. Generally, professional web hosting allows the business to benefit from better web security and technical support. There are more numbers of the benefits are involved in the web hosting such as customer support, reliability, space, domain and email. Some of the webhosting companies are offering at least one domain name that allows the company or business to build their brand awareness. Web hosting service comes with two options like free or paid one so that you can choose the perfect one as per your desire. In a simple term, web hosting is the service that allows the individuals or company to post the web page or web onto internet. Most of the business owners use blogs and websites to engage with reach potential customers and existing clients. You must keep in mind; no host can offer 100% uptime and they must provide at least 99% of the uptime on average. Web hosting provider must able to scale and upgrade to accommodate your traffic growth. Choosing the best web hosting company is crucial one because each company is offering different kinds of offers. Full web hosting service makes the process of publishing and setting up the website. Siteground is the best web hosting company and it was founded in the year of 2004. They serve more than five lakhs domains across the world. They are providing cloud hosting, shared hosting and dedicated servers. They have data center is five countries like Netherlands, United States, Milan, Singapore and United Kingdom. This company runs on Apache, PHP, Mysql and WHM. When the Roku direct to TV film option came out (using the US Netflix subscriber base and some of its DVDs), I immediately got one. I’d had other options before, including Comcast’s pay per view movie service and Netflix’s mail delivery of DVDs. This was so much better! I could simply watch movies whenever I wanted, with no risk of a defective DVD in my mailbox, one with scratches on it. You can see the original article I wrote here, spelling out the reasons we bought the Roku and what options it offers. I’ll go over some of those in a moment. We do have Tivo as well and it is great, for what it does. I need to be able to record breaking news as well as new television shows and the Tivo does that as needed…..most of the time. However, it can be hit or miss and there is a certain error rate, making me record two or three of the same movies or shows so that I can be sure to have one that is actually recorded from the right channel. That isn’t an issue with the Roku. Pay per view is certainly supposed to be convenient but when we used the Comcast system, all too often we’d get error messages and have to call the company. Sometimes the movie would show up on our television screen and sometimes it would not. Even if it did, we might miss part of it or have the weather or something else affect coverage. If you scroll through his articles, you’ll see many which focus on various subjects and types of movies available for the Roku. Yes, the selection of current movies may seem limited primarily to classics or even noir type movies from various genres. However, as someone who likes to watch classic and cult favorites repeatedly, this isn’t an issue. Secondly, there are some newer movies in the mix. Also, I have some relatives who haven’t seen many of the 10,000 movies available from American Netflix for viewing on the Roku. So the initial price has been well worth it. Yes, there is a lot of attention about the Xbox 360. Depending on your taste, you may not be impressed with the movies offered yet (again, I’d urge you to read Mr. Sexton’s diverse articles about the Roku movies before you make that decision, yay or nay, about the movie selection). However, the picture quality is excellent and I tend to stick with what works. I know how Tivo functions (erratically). I know how Comcast Pay Per View functions. I don’t know how the Xbox 360 functions. I’m sticking with the Roku as the direct to tv movie delivery system for me. Oh, yes, I’m also familiar with Netflix and hopeful about the movies that will be available as time goes on. Besides, working through those 10,000 movies, given my schedule, isn’t exactly the easiest of tasks. It is nearly instant delivery. Find your movie (again, I suggest using Mr. Sexton’s articles for suggestions or inspiration), pick it out, watch it by using the Roku controller. It is that simple, pretty much. Set-up isn’t hard, although you do have to consider what you already have installed along with your basic television set. Is it perfect? No. Could it be better or offer a wider range of movies? Absolutely. But for the price, $99, and the low Netflix subscription fee, I don’t see a better game in town right now when it comes to this type of service. Great picture quality. Movies pretty much whenever we want to watch them. If you want to know more, read my article or go to the Roku website and learn more…and don’t forget to bookmark Mr. Sexton’s guides to Roku movies while you are at it. The Roku website is here: roku.com. So is the Roku for you? I stand by my earlier stance. It really depends on your viewing preferences and tastes. Those who love it…well, they really love it. I’m one of them. I confess that Mr. Sexton got his delivered and hooked up before I did so his enthusiasm for the product – and actual use – preceded mine. I’m still working on catching up on those guides of his, just like I”m working to catch up on all the movie selections available on the Roku. The Xbox 360? I’m not inclined to buy it just for the movie option…yet. What is next for Roku and direct to tv movies? Hopefully, Roku will offer more of the newest titles and do so quickly. Also, the industry seems to be changing so quickly that no one really knows what the next big thing could be. In the meantime, I’m hoping that $99 investment turns out to be one of the best moves I made recently. So far, I’m one happy customer. The Pirate Bay is at it again. Two new features are currently popping up on its Web site as it awaits the results of its trial in Sweden. It looks like nothing lets the wind out of its sails. The Pirate Bay has now put BitTorrents in Facebook. What a concept. If you google Pirate Bay, you find a Share on Facebook link. By clicking on this link, users can share torrent tracker links. As of March 30th, Facebook says they are aware of this action and are looking into it. As of now, no action has been taken by them though. According to Peter Sunde, who helps run the The Pirate Bay, no complaints from either Facebook or entertainment industry trade groups have taken place yet. The Pirate Bay does not host copyrighted materials. It hosts links to torrent files that are used to download larger files for peer-to-peer file sharing. A torrent doesn’t actually contain the copyright material anyway. It merely coordinates the download. Although users might think twice about posting copyrighted material on their profile page, it is an interesting twist to the continuing saga of free movie and music distribution. According to Struan Robertson, a technology lawyer, Facebook can block the links or hold Pirate Bay accountable for copyright infringement charges they might incur because of the link. Mr. Robertson warns that any user who shares copyright links through Facebook risks legal threats from companies enforcing their copyrighted materials. As if this isn’t enough, The Pirate Bay just launched a Virtual Private Network called IPREDator. It’s a network for more privacy while browsing the Internet. The cost is around $6.95 a month and subscribers share files anonymously and their IP addresses are hidden. VPN technology Canada best vpn canada is most commonly used among remote office workers so they can use their company networks securely. As the saga of free file sharing continues, it becomes apparent that it will not be stopped. The Internet has challenged the way we do things since its inception. I remember when citizenship to an on-line country could be purchased. Imagine no taxes, no physical address and no police. The Pirate Bay will know the results of the trial on April 19th. Until then, they apparently are going to continue their innovations. As they state on their website: “We control it. Not them.” The Pirate Bay is talking about their website but I’m thinking of free file sharing throughout the world. Click here for a link to the only interview of the brains behind and co-founder of The Pirate Bay.